Starting at $21,000, the Trax LS comes equipped with a standard 1.4L ECOTEC® Turbo MFI engine and gets favorable fuel economy, with 25 MPG city and 33 MPG highway. The LT offers an available power sunroof, Rear Park Assist, and other features that make driving down the Fairbanks roads easier and more enjoyable. The Chevy Trax Premier sports a more luxurious interior, with standard leatherette seat trim and front sill plates. Fort Wainwright drivers can customize their Trax model with different packages including, the Driver Confidence package, Cargo Package, and Protection Package. Each Chevy Trax is available in all-wheel drive. 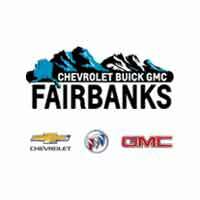 Compare the Chevrolet Trax to the Subaru Crosstrek, and then schedule a test drive of one of our many new Trax vehicles here at Chevrolet Buick GMC of Fairbanks.